The ABC's of Automobile Insurance Coverage - Part 1 - PIP - Owens / Pinzelik, P.C. Posted on March 16, 2012 April 13, 2015 by Brook Wood. Filed under: Personal Injury. Tagged: accident, auto, insurance, motor vehicle, oregon, personal injury, Pinzelik, PIP. If you have ever taken a close look at your automobile insurance policy or the insurance card you carry around in your glove box, you likely encountered a bunch of acronyms that may mean very little to you. These acronyms are shorthand that insurance companies and attorneys that routinely deal with insurance-related claims use that become very important if you ever need to file a claim or if another person ever files a claim against you. In the next few weeks we’ll be looking at PIP, UM, and UIM coverage. PIP – stands for Personal Injury Protection. Every automobile insurance policy issued in Oregon must include a minimum of $15,000 in PIP coverage. PIP coverage pays for medical treatments and lost wages for the policy-holder, his or her passengers, and, sometimes, pedestrians involved in an accident with the policy-holder. PIP coverage is considered “no fault” coverage and was designed to be available immediately to cover the cost of ER visits and necessary follow-up care in the days, weeks, and months immediately following a motor vehicle accident. In a typical motor vehicle accident an injured driver or passenger may need such medical treatment immediately following the collision. 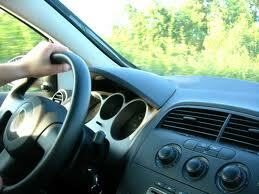 The driver’s PIP coverage pays for the treatment without considering who caused the accident. PIP coverage will pay up to the PIP limits (usually $15,000) or for one year of accident-related treatment. PIP coverage will also cover wages that were lost because of the accident. In cases where another driver is at fault, the PIP insurer will seek reimbursement from the at-fault party’s insurance company. As such, if you file a bodily injury claim against the at-fault party, you need to be sure that any recovery you receive from the at-fault party’s insurance, is separate and apart from the PIP that your insurance paid on your behalf. Most major insurance companies are party to an agreement whereby they receive reimbursement for PIP payments by means of an intra-company compact. But, in some cases your PIP insurer can file a lien against the settlement you get from the at-fault party’s insurer whereby you would be required to reimburse your insurance company for the PIP payments it made on your behalf. One other thing to keep in mind is that while insurance law in Oregon requires a minimum of $15,000 in PIP coverage, that amount can be increased up to $100,000 or more for not much more than the minimum $15,000 coverage costs. Emergency room treatment and even a short stay in a hospital after an accident can eat up $15,000 pretty quickly. Once your PIP limits are exhausted, your health insurance will likely cover hospital and doctor bills, but you may be faced with deductibles and co-pays which may be difficult to pay if the accident keeps you from working. If you don’t have health insurance, you may find it difficult to obtain routine and follow up treatment if you cannot pay for services as you go. As such it is often worth the minimal extra cost to increase your level of PIP coverage. Coming in Part 2, UM (uninsured) and UIM (under-insured motorist coverage).